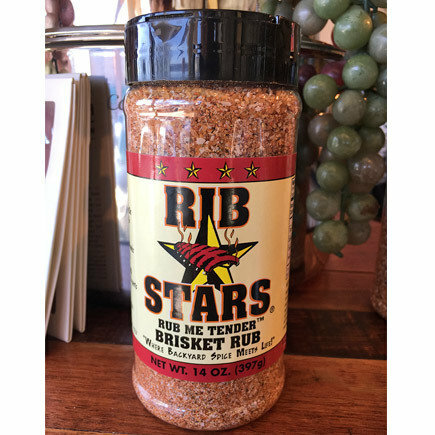 Rib Stars Rub, 'Rub Me Tender' Rib Rub is an award winning BBQ Rub and a Culinary Center favorite! 2010, 2009, 2008, 2007, 2006 Great American BBQ Sauce, Baste & Rub Contest - Award Winner in Hot Rub. 2004, "BEST" Hot Rub Award Winner American Royal BBQ Contest. 2003, Hot Rub Award Winner American Royal BBQ Contest. Flavor: (Hot Rub) Perfect balance between the sweet and the spice. Using Cane Sugar Solids, a nice kick of Cayenne Pepper. Cumin and All Spice rounds out this Award Winning Rub. Try a dash on grilled Salmon, Shrimp or Scallops.